Pozole is one of my favorite Mexican soups, the combination of tender pork and textured Hominy, slowly cooked together with chili sauce and spices is so satisfying. Traditionally the dish is made with dried hominy (hulled corn kernels), but canned white hominy works perfectly. Pozole can be made three ways white (without sauce), green (with salsa verde) or red (using a combination of red chilies). I recently felt inspired and made a large pot for a small group of friends and it was absolutely delicious. At first I thought I had made too much but after our friends returned for seconds and thirds there wasn’t much left. 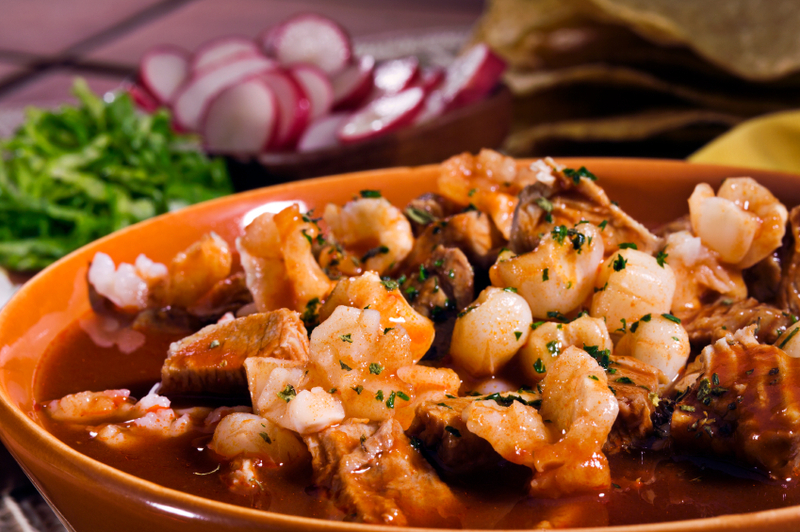 Pozole is especially delicious made 1-2 days before serving, as this allows the ingredients to meld and deepen resulting in a rich, flavorful and tasty soup. 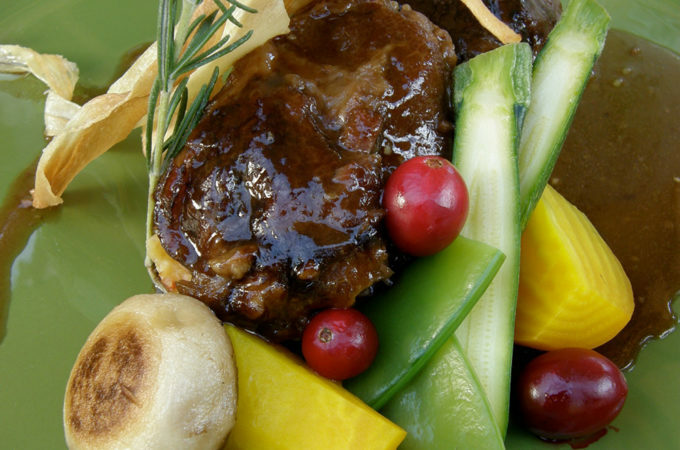 Go crazy with the garnishes, the variety adds freshness, crunch and texture to round out a perfect dish! 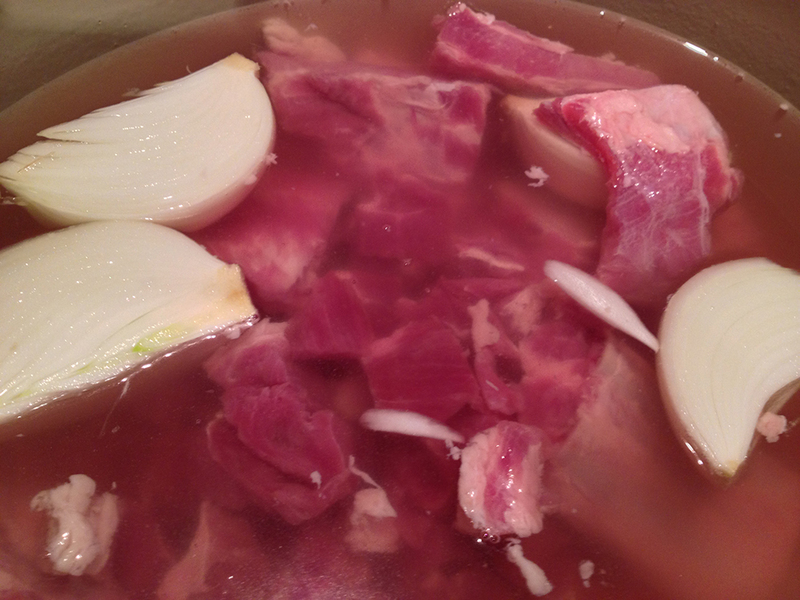 Heat water in a large stock pot, add onion, garlic salt, cubed pork, and spareribs. Bring to a boil, then lower the heat and simmer, partially covered for 2 and half hours or until meat is tender and falling off the bone. While cooking, skim top layer of foam and fat from the pot using a ladle. If necessary, add warm water to maintain the same level of broth in the pot. Remove pork from broth; reserving broth. 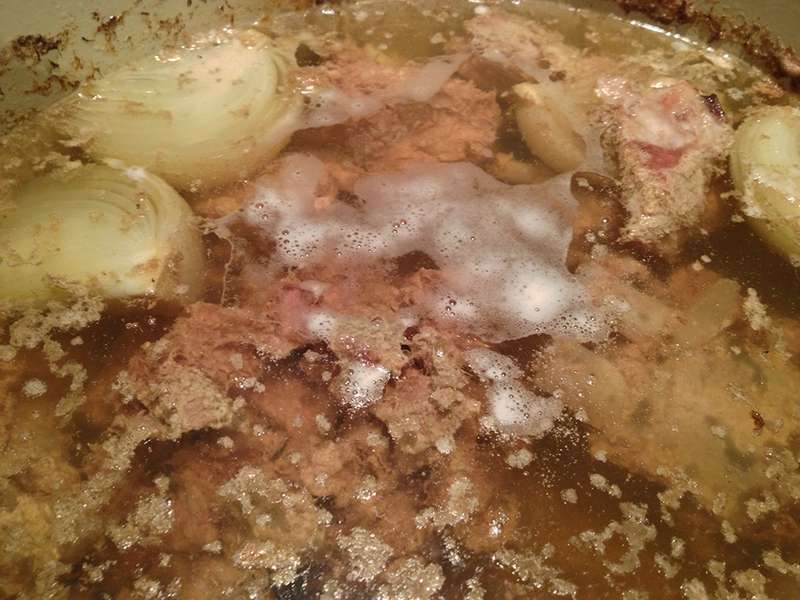 Trim excess fat, and remove meat from bones; discard bones, onion and garlic from the broth. Shred meat, and cover. 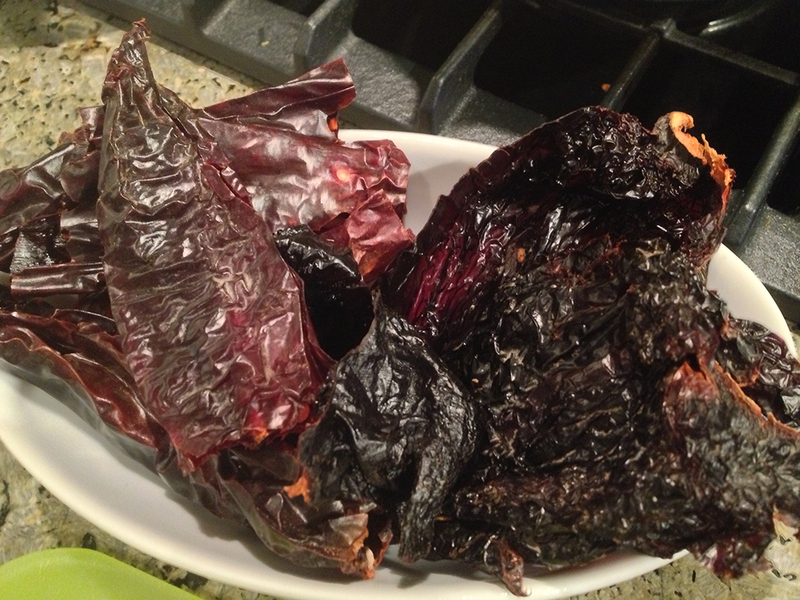 Soak the Ancho and Guajillo peppers in warm water just enough to cover for 25-30 minutes until soft. 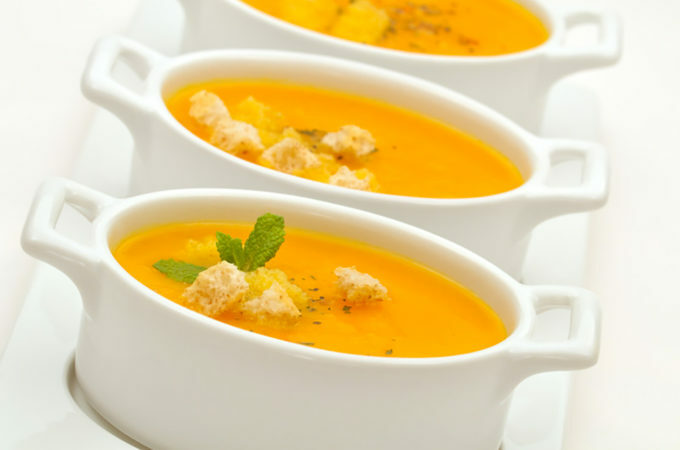 Using a blender or food processor, blend peppers, garlic cloves, chopped onion and oregano adding some of the water in which they were soaking. Puree mixture until smooth. Heat oil in a large skillet over medium-high. 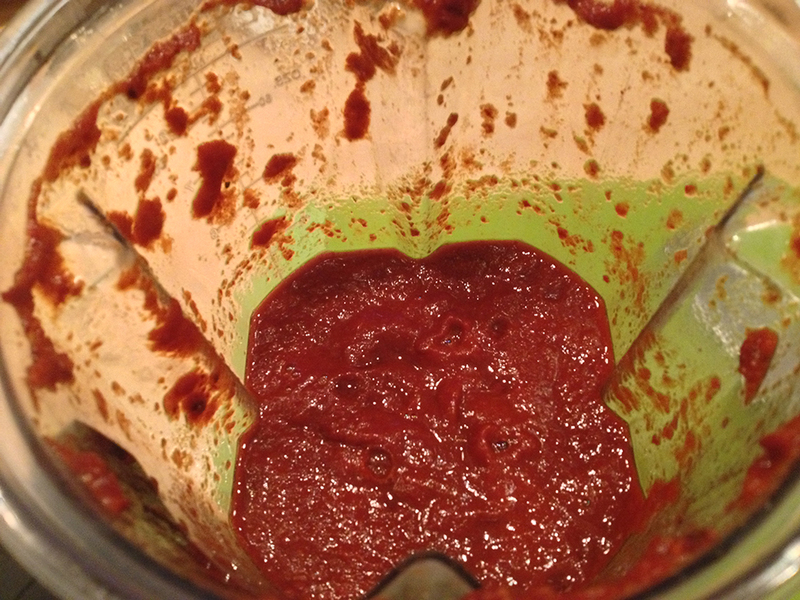 Add the dry pepper puree and salt to taste, stirring constantly as it splatters. 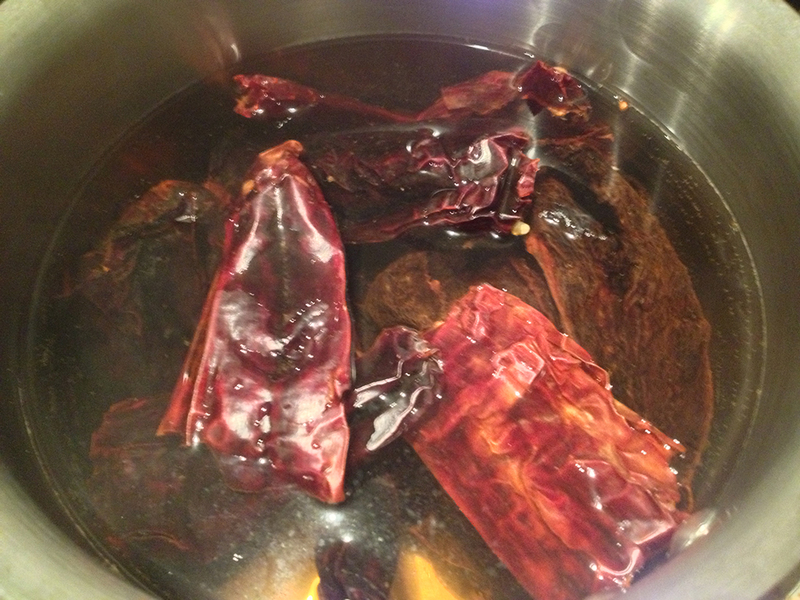 Reduce heat and simmer, about 25 minutes. 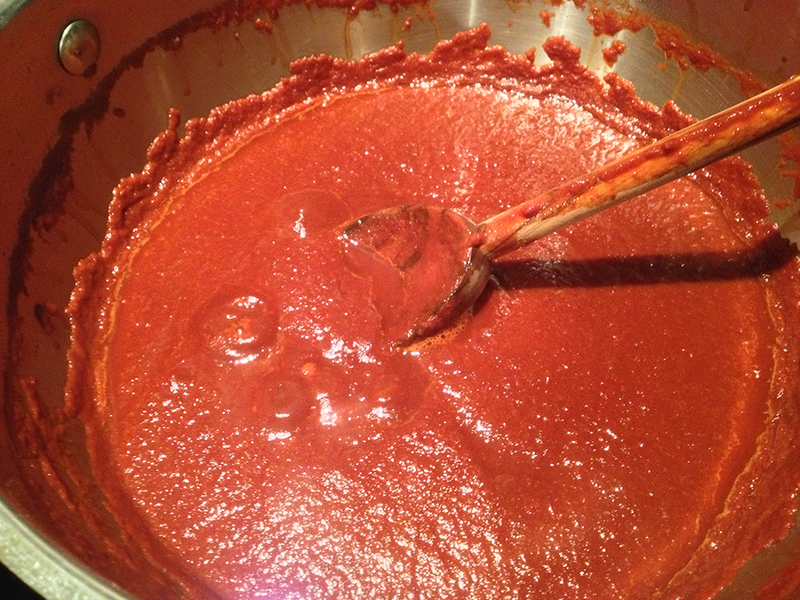 Using a strainer, add the sauce to the broth. Bring to a boil and add back the meat, and simmer gently, for about 10 minutes. Stir in white hominy, and season with salt, pepper and crushed red pepper. Simmer until heated through. Serve Pozole in large soup bowls, with garnishes and warm tortillas.